Viburnum Davidii is a small rounded evergreen shrub that attracts attention with its showy flowers and fruit colours. 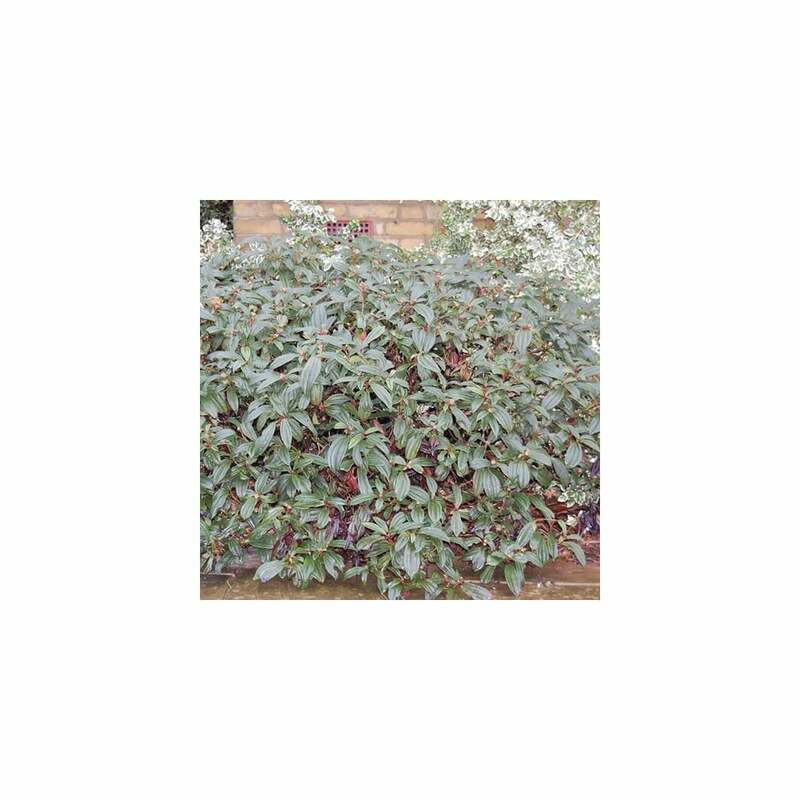 It is an ideal flowering plant for low hedges or borders, that is easy to maintain and grow. This Viburnum is robust and adaptable to difficult growing conditions. Its versatility is unmatched. Foliage of Viburnum Davidii provides distinctive textural contrast for other plants and carries year-round interest. Viburnum are very attractive flowering shrubs with dazzling flowers and handsome foliage. This Viburnum features flat-topped clusters of small white flowers that bloom profusely in late spring. Its long, glossy dark green and oval leaves provide a perfect backdrop for the flowers. However, the most interesting part of this plant is the interesting blue berries it produces in autumn. These showy fruits carry metallic shine that will add high ornamental value to your garden. These are low maintenance shrubs that demand low care and can adapt to different soils. Plan them in average, well-drained soil in full sun or partial shade. Add a layer of mulch to the base of the plant as it will help the roots to stay cool. Its flowers will bloom more profusely when it will receive enough sun light. Pruning Viburnum Davidii is required only to keep the plant in proper shape. Trim as required in late winter or early spring and propagate using cuttings.